One moment, the children were in the hallway and the next they were not only stepping into a new room, but also a lush new landscape that would help them forever remember the day’s lesson. The second grade class at House of Knowledge School (HoK) had walked into their classroom only to be amazed by how their teachers decorated the space with greenery, fake snakes, and even a diffuser to increase the humidity. This creatively engaging introduction to the students’ unit about rain forests is a key component of the International Primary Curriculum (IPC), which HoK has adopted starting the academic year and is already seeing impressive results. The curriculum’s success with children is based on numerous factors such as the design to have phrases that make up each of the dozens of units available for teachers to choose from. That introductory phase is, aptly enough, called the entry point. 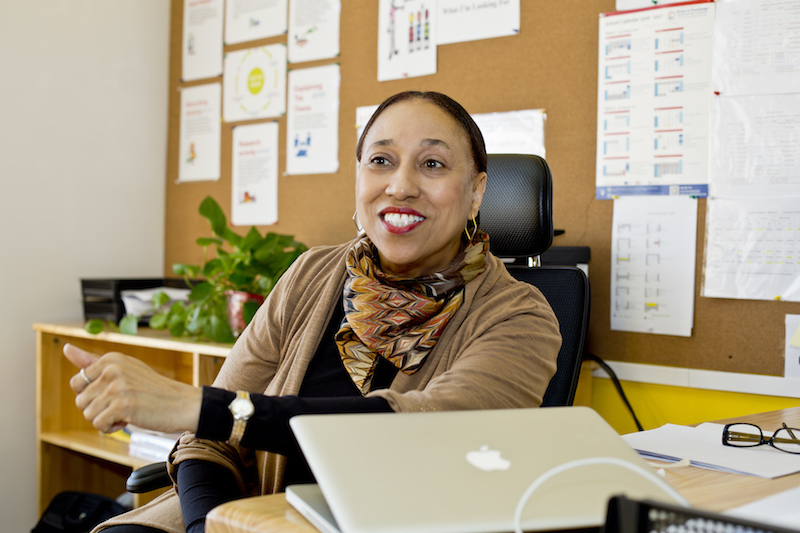 At least that’s the case put forth by Ms. Nellie Townsend, HoK’s Elementary Principal and IPC Coordinator. She describes those initial moments as a “wow factor” that ensures the students’ attention spans are attracted to the lesson in those crucial early moments. From there, the students move through the remaining phases within the IPC’s unit framework. Next up is a “knowledge harvest,” where the teacher leads an open-ended discussion about what they might already know about the topic. The students’ prior knowledge is contrasted with the “explaining the theme” phase. This section is the only conventional lesson portion of the unit, in which teachers dictate information and crucial details, but only for succinct periods that don’t slow the momentum of the prior phases. After that comes a research component where the teacher guides students to check books or use online tools to get more information about the unit. It all culminates with a presentation portion, where students can showcase what they’ve learned. But these are not high pressure, on-the-spot ordeals. Instead, the students display their work as part of a fun assembly that celebrates how far they have come to their teachers, parents, and peers. The flags used in the exit point phase of the “Different Places Similar Lives,” unit. The fun celebratory vibes were in step with the upbeat, innovative entry point that hooked students into the topic in the first place. But, more importantly, Townsend says the exit point allows the unit’s phases to come full circle, as students not only absorb information but also share what they’ve learned, taking ownership of it the entire time. “In that moment they become the teacher,” she says of the how the students present their findings to their parents. And at that point, those students are helping immerse others in the topic in the same way that their teacher did at the entry point, with a lush setting and an equally lavishly prepared lesson. For more information on the IPC curriculum, click here. This post is paid for by HoK.